With this, we present helpful downloads developed by ourselves and tested and approved tools we use to manage our projects and business. Have fun with them! By the way, some of our exciting tools are also available in German or French. So don’t hesitate to download them in the language of your choice! Just sign up to our updates and we’ll send you the link to our download area. We have created this Magic Triangle diagram which demonstrates what happens when you need to increase scope, increase speed or reduce costs in your project. Use it for your next discussion with your client! And next time your client asks you to do more or to do it faster at the same price, you can come up with some magic. If you really want to reach your goals the first step is to formulate your goal in the right manner. Let our proven SMART+ Goal Setting System (now the new version!) guide you and avoid the pitfalls. At the end of these 8 easy to follow steps you will have a perfectly formulated goal. For all who are preparing for the PMP® exam. More in English coming soon! 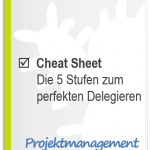 Lade dir hier mein Cheat Sheet KOSTENLOS herunter! Ich wurde vor kurzem von einem ehemaligen Kollegen gefragt, was meine Geheimtipps für erfolgreiche Projekte wären. So ganz spontan fielen mir eine Handvoll Tipps ein, für mehr musste ich dann ein bisschen gründlicher in mich gehen. Also habe ich ihm eine Liste zusammen gestellt. Ich bin überzeugt, dass auch dir meine Tipps helfen, deine Projekte erfolgreich zu machen. Lade dir hier meine 10 TOP TIPPS KOSTENLOS herunter! 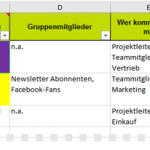 Das Stakeholder-Register ist die Basis für die Verwaltung der Stakeholder. Mit unserer Vorlage geht das super einfach und übersichtlich. Und die Stakeholder-Prioritäts-Zahl bekommst du auch noch dazu. Mach dir das Leben einfach und lade die Vorlage gleich hier herunter! Wer gewinnen will, muss seine Stärken kennen. Als Projektleiter musst du aber auch gerade die Schwächen und Risiken kennen, damit du rechtzeitig reagieren kannst. Dabei hilft eine SWOT-Analyse. Hier findest du unsere Word-Vorlage, die du für deine nächste SWOT-Analyse benutzen kannst. Celui qui veut gagner aura besoin de connaître ses points forts. En tant que chef de projet tu dois surtout connaître les points faibles et les risques pour pouvoir prendre tes précautions et être capable de réagir au besoin. 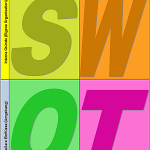 Pour ceci une analyse SWOT t’aidera. Ici, tu trouves un modèle Word que tu pourras utiliser pour ta prochaine analyse SWOT. 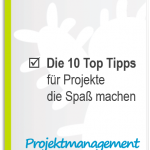 PMBOK®, der internationale Projektmanagement Standard des Project Management Institute (PMI), 600 Seiten geballtes Know-how in einer Mindmap zusammengefasst. Task management, project management and optimization of creative processes and saving time, money and nerves. All this with a free but performing web-based tool I’m using myself intensely. 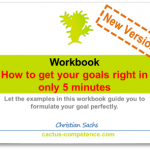 If you want to know more about how we at Cactus Competence use Trello, just contact us here or in the social web! Its years now that we use this cool tool. I’m sending out my project management tips with it. Why it is so good? It’s super easy and it removes manual tasks from my to-do list. I can add a personal touch to my messages, design and schedule them as I want. 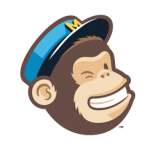 And the best: For the beginner, MailChimp is completely free of charge (it really needs a huge amount of email addresses in your list before you’ll need a paid account). Its now some years that our website is hosted on Siteground. Before coming to Siteground, we’ve tested other hosting providers and this is by far the best we ever had. And the less expensive, too! (tested with real accounts on 12 of the most popular web hosts on the market). My affiliate link to Siteground. When you subscribe with Siteground using this link, we’ll get a little bit money into our hosting account which we will use to pay our hosting bills and so allow us to continue to deliver free content for you. We from Cactus Competence have accounts on all social media platforms. Not because we find this is fun, well sometimes it is, but this is real work which we need to do to increase our brand awareness level and so reach more people out there and get our message across. Before we found SocialPilot, we did this by hand. Connecting with one account, copying in the post text, logging off … Connecting with the next account … and so on and so forth. Now, we can manage all accounts with SocialPilot, all in the same place. And we can schedule our posts in advance. A huge relief! It is surprisingly low priced and has the most extensive list of available social media platforms. My affiliate link to SocialPilot. When you subscribe with SocialPilot using this link, we’ll get a little commission to our account which we will use to pay our bills and so allow us to continue to spread our free content into the social media platforms for you.